Skratch is a decentralized marketplace protocol that unlocks the hidden revenue of music websites. Stay up-to-date by getting on the Skratch mailing list. Skratch is a decentralized marketplace protocol that connects music sites, artists, and listeners together--allowing them to securely trade products for Skratch tokens through trustless transactions governed by smart contracts. Sound complicated? It’s easier than you think: Skratch is a digital token (cryptocurrency) that you can use to buy and sell music-related products, media, and services from other Skratch users. Through the smart contract process (and with the security of block chain) your transaction is safer (and more direct) than ever before. Skratch tokens give users across the global music economy the ability to securely and directly transact with each other on message boards, forums, social media & chat applications. 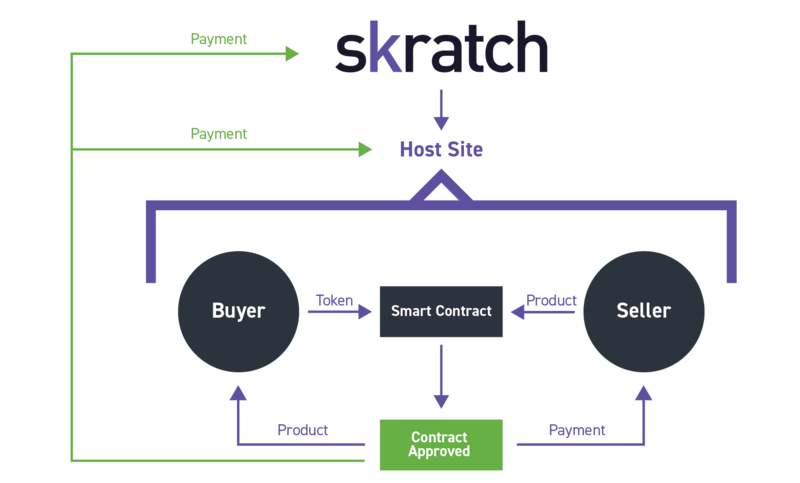 Through Skratch’s secure smart contracts, users can comfortably enter into transactions without the need for a third party. Even better, with Skratch, hosting sites have an opportunity to access hidden revenue on their forums, message boards, and social pages. Initially, Skratch will be used as a form of payment on UndergroundHipHop.com. With Skratch, you can purchase vinyl records, CDs, merchandise from your favorite artists, even DJ equipment. From there, Skratch will expand so users can trade tokens on the open market. Skratch will be used on a number of host sites (like UndergroundHipHop.com). A buyer (let’s say a rapper) and a seller (let’s say a producer) enter into a Smart Contract, where the buyer agrees to pay the seller for their product (in this case, a track that the producer created.) Once the seller uploads the product (the track) and the buyer approves that the product is what he’s looking for, the buyer’s Skratch tokens will be released to the seller. The product (the beat) is then released to the buyer. This secure transaction model ensures both parties are protected, and that everyone is happy at the end of the day. Michael King is a decorated internet marketer and hiphop musician with a background in Computer Science. 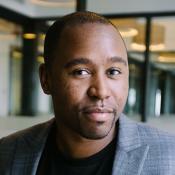 He’s a sought after speaker and thought leader in the digital marketing space and consultant for Fortune 100 brands and venture-backed startups. Mr. King is the founder of iPullRank and owner of UndergroundHipHop.com. 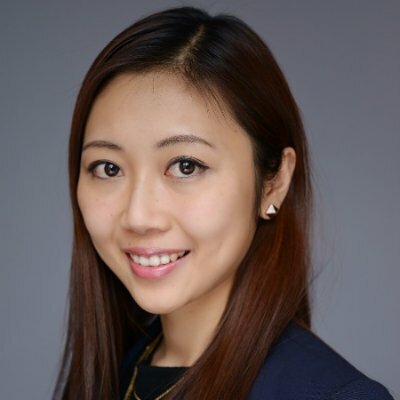 With 5+ years' marketing experience and a master's degree in Marketing from University of Rochester, Jiafeng has worked at Bloomingdale's where she managed the Search Engine Optimization channel and at marketing agencies where she advised Fortune 500 companies and tech startups. Jiafeng is a blockchain enthusiast and also founded and owned a restaurant in China during college before she came to the US to pursue further study in 2011. 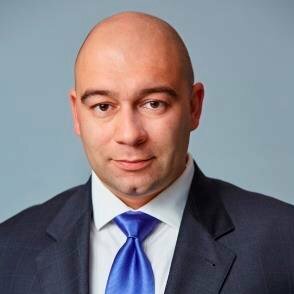 He has 15 years’ tech experience and started his journey with Bitcoin and block- chain technology in 2009. 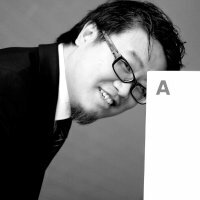 He’s been involved in many different blockchain projects. iPullRank is a better performance marketing agency based in NYC. Founded in 2014 by industry thought leader, Michael King, the shop brings a team with expertise in Content Strategy, Digital Advertising, Search Engine Optimization, Machine Learning, Conversion Rate Optimization, Analytics and Web Development. UndergroundHipHop.com is an e-commerce and media company founded in 1997. The site and its surrounding community has highlighted and supported acts such as Eminem, Macklemore and Run the Jewels since before they achieved mainstream success. UGHH attracts a vibrant community of over 400k people drawn to independent hiphop and the UGHH team features hiphop tastemakers, artists, community management and e-commerce staff. Brittan Bright brings 14 years of sales and business development experience in Tech to the team. 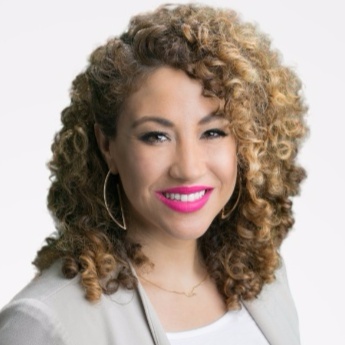 Her eclectic perspective stems from years spent both rolling up her sleeves selling for start-ups and defining an industry, to learning from the best and helping to innovate in top global enterprise organizations. C. Brandon Ogbunu is a research associate at Harvard University, a research affiliate at Brown University, and an Assistant Professor the University of Vermont. His research takes place at the crossroads between computational biology and evolutionary genetics, applied to questions of bioengineering and infectious disease. As you’ll see below, and as we’ve outlined in the White Paper, Skratch tokens already have a planned allocation strategy, including over two million tokens for sale. For more information about the allocation, read our White Paper or refer to our FAQ’s page. Launch of Website - We launched Skratch in a subdirectory on the UGHH website in support of visibility of the token sale. Launch of Pre-sale - We’re making the presale available to all accredited investors and promoting it through paid, Owned and Earned Media channels. Launch of Public Token Sale - We’ll open the public token sale to non-US participants only. Hiring of Staff - We’ll begin the process of building a best-in-class development team and business development staff. Close of Pre-sale - The pre-sale will close and we will begin promoting the open sale internationally. Development of Discourse and BuddyPress plugins and mobile app for UGHH.com - The UGHH site is moving to Discourse and BuddyPress so the first series of plugins we’ll create will be on the platform. We’ll also prepare the iOS and Android apps. Message Board plugin Build & Business Development - The team will be hard at work on the first release of the plugin while the business development team builds partnerships and marketing continues to build the UGHH and Skratch brands. Close of Public Token Sale - The public token sale is over at 11:59 PM EST. Issuance of Tokens - Tokens will be issued the day before Record Store Day so users can use them toward discounted purchases on UGHH. Alpha Testing on UGHH.com & Browser Extension Build - The development team will build the Chrome extension. Beta Launch on UndergroundHipHop.com - We’ll push the bbPress and BuddyPress plugins live and begin marketing efforts to get users onboard. Beta Testing on Partner sites - The beta release to early partners that are interested in placing their sites on the Skratch network. Feedback Collection and Subsequent Releases. First Release - The first public release of the Skratch SDK, Chrome Extension and the top ten plugins. Token Submission on Marketplaces - We’ll submit for inclusion on exchanges to allow people to trade Tokens. Release of Skratch Blockchain. Expansion into Fashion and Technology Verticals - We will launch our own blockchain with a more secure fork of Solidity. The remaining plugins and new oracles in support of fashion and technology transactions. All Vertical expansion - We will continue releases and identify more oracles in support of transactions from all verticals.